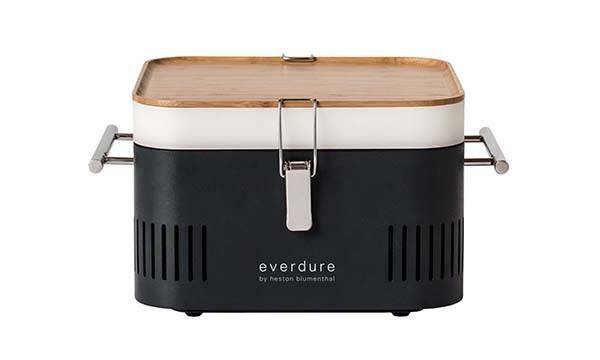 Everdure Cube portable charcoal grill lets you conveniently starts your BBQ party, and ample internal space allows it to serve as a container for your favorite food. The Cube is a well-designed and versatile BBQ grill that measures 13.7 x 16.7 x 9.1 inches and weighs 15.43 ounces. As we can see from the images, the charcoal grill shows off a low-profile and sleek appearance design, and the portable cubic form factor and two safety latches allow you to easily take it for any outdoor BBQ party. With the integrated handles, you can also move it from one place to another. 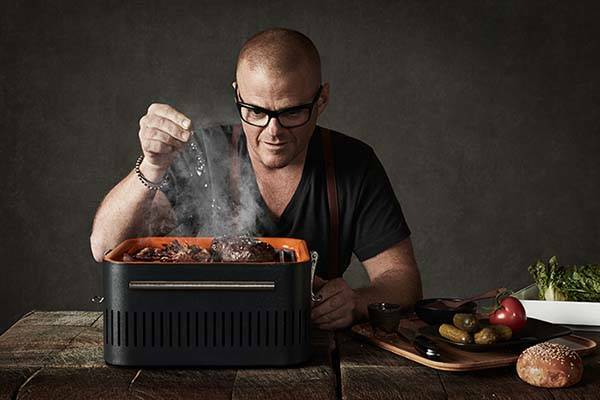 The portable charcoal grill comes with a removable chrome grill that delivers 745cm2 cooking area to cook your favorite BBQ dishes, and its porcelain enamel firebox, charcoal tray and heat protection shield provide enhanced safety during roasting. 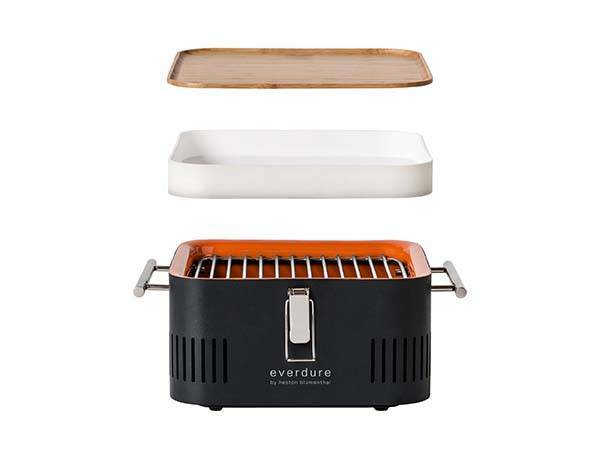 Furthermore, it also features an integrated food-grade storage tray and bamboo cutting board so that you can use it to do some preparatory work for grilling. The Cube portable charcoal grill is priced at $199 USD. If you’re interested, jump to here for its more details.